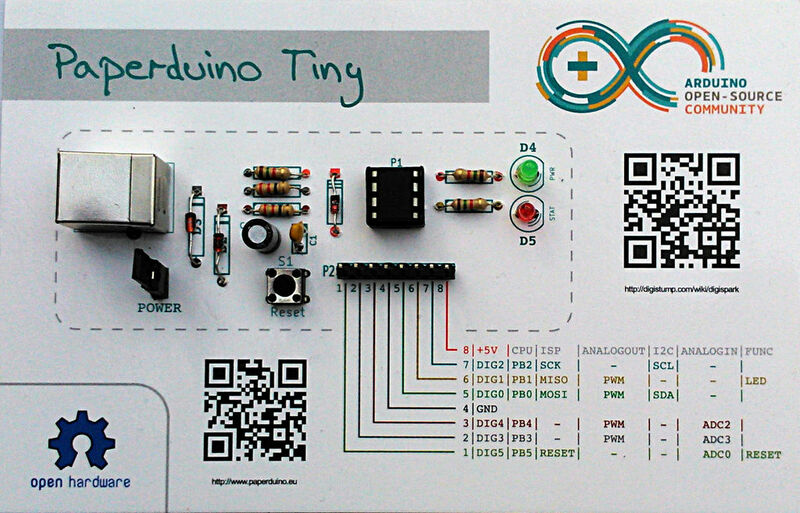 Following in the footsteps of the original Paperduino—and the Paperduino Leonardo—is the Paperduino Tiny. It’s a cheap Arduino-compatible board based around the ATtiny85 micro-controller, and you can probably put it together for around US$4. The difference? As you might have guessed from the name, it’s made of paper. More information can be found on the Paperduino Wiki—including step-by-step instructions, and a full parts list.